As an insecticide supplier, we have supply common and bioinsecticide products for 10 years. For insecticide products, we are professional. We have come up with more than 80+ pesticides packaging covering most of the mainstream.Prefessional design department for pesticide labels. If the end user requires third-party inspection, it is available. Lots of third-party inspection organization have inspected our insecticide. As a leading pesticide herbicide manufacturer and supplier, we try to create values that make our clients develop and improve. Herbicides , also called weed killer. Herbicides and weed control products are agriculture chemicals used to kill unwanted plant and control weeds. We are very familiar with the herbicide products. Our herbicides products include Atrazine, Acetochlor, Metribuzin, Clethodim, Trifluralin, and other 30+herbicides products. A variety of insecticide formulations including granular herbicide, liquid herbicide could support for you as you want. Based on our production capacity,we service different clients all over the world. As a herbicide supplier, we will provide your competitive price and safe & on-time delivery. You only do is tell us your requirement, and we will send your goods to your pesticides warehouse or home. We also have the ability to register herbicide. ( within one day if needed). Chapter 1: What Is It Herbicide? Chapter6: How to Apply Herbicide? Chapter12: How to Ship Herbicide from China to Your Country? If you are a farmer, then you have experienced the impact of weeds on your garden. The unwanted plants choke the crops and eat up nutrients too. Controlling weeds will significantly improve your crops yield. Using the herbicides correctly in the timely manner is therefore vital. You can either control the weeds by weeding or using herbicides. They are also termed as weed killers. Herbicides refer to the chemicals that re used to kill plants that grow in unwanted places. The aim of doing so is to boost plants’ productivity. But how would you choose the right herbicide if you don’t know of the existing types? 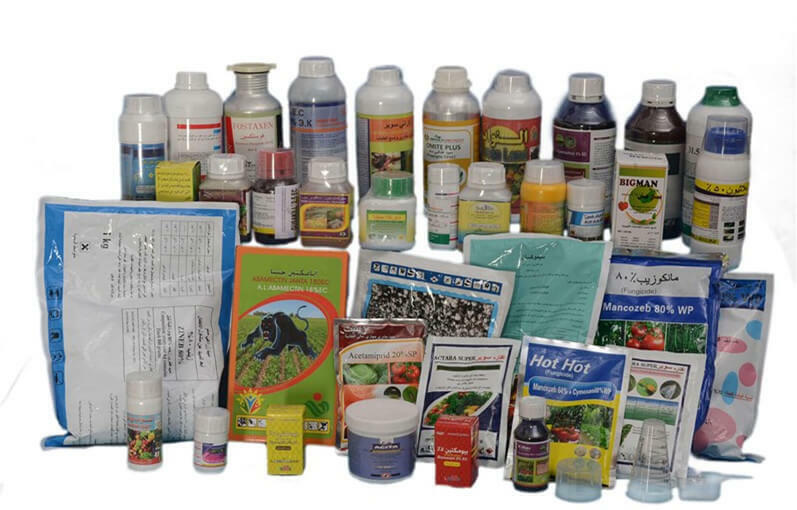 There are many types of herbicides in the market. To the common man with limited knowledge on the subject, shopping for the right herbicide is both demanding and confusing. And moreover, you can buy the right weed killer and misuse it. Pre-emergence refers to any herbicide you spray to the soil before even the weeds sprout up. After planting your seeds, you neither wait for them nor weeds to germinate. These will help you kill the weeds after they have germinated from the soil. Post-emergence herbicides are effective whether both/ either plant and weeds have germinated. Foliar-applied; these are the weed killers that you spray directly on the leaves. To reap excellent results with foliar-applied herbicides, they have to stay for an extended period on the leaves. The extra time allows for their absorption through the leaves to various parts of the plant. These are weed killers which you spray directly on the vegetations to achieve the desired outcome. The herbicides must make contact with the plant. The plants will absorb the contact weed killers through their stomata. Hence it is essential that you apply them very early in the morning. When you spray them on the green plant early in the morning, they get absorbed during photosynthesis process. After there applications, contact weeds may take about two or three weeks to kill the targeted weeds. You can also call them translocated herbicides. As their name suggests, Systematic herbicides are transported to every part of the plant. When the nutrients and water get distributed through the phloem and xylem, these weed killers are transported too. They enable you to get rid of the weeds completely. As their name suggests, the herbicides have particular targets. For instance when you have the crops and weeds intermingled in your farm, selective weds will kill the weeds but leave the crops unaffected. Let’s take for instance that you desire to eliminate the weeds on your lawn. In such a case you will spray the selective weed killers that target plants with broad leaves only. Similarly, you can also choose those that kill only the small-leaved plants like grass and leaves out tree seedlings. When you desire to eliminate every kind of green plant from your farm, then non-selective weed killers are the best. Spray it on your farm, and it will bring toxicity to every green plant present in the garden. However, it isn’t a surprise to find some weeds showing resistivity to particular herbicides. Therefore since the knockdown herbicides destroy most plants, it’s important to exercise great caution when using them on your garden. When you use it on a windy day, then it might be transported to the nearby plants too. However, sometimes other herbicides can’t be mixed and used in a single application. In such an instance, sequential application of the herbicides is then preferred. these are the most popular herbicides in the market in which it works by resembling the natural hormones of the plant and thereby causing lethal growth abnormalities. These herbicides are used worldwide to manage broadleaf plants in which they are made up of an active chemical called phenoxy acid (ether based ingredient). Ex. 2,4 – D, MCPA,silvex, 2,4,5 – T and e.t.c. these herbicides were initially developed in 1952 but never showed up to the market until 1957. There major mechanism is to inhibit primary events in photosynthesis in the chloroplasts. You can use it eliminate broadleaf and grass weeds around corn plants. Atrazine is the most popular Triazine herbicide and farmers commonly use it for corn plants. Ex. Atrazine, Cynazine, Hexazinone and e.t.c. organic herbicides are good solutions if you are searching for environment friendly herbicides but like any good thing in the world it have limitations, the limitations include that the organic herbicides affect the already emerged weeds but don’t have an effect on the seeds and also these herbicides are noted to have a lesser effect on older weeds than the young ones. Organic herbicides kill weeds by contacting and destroying their external tissues. Weedpharm, C – Cide, weedzap and e.t.c.are some good organic herbicide brands that are present in the herbicide market. this is such a broad group with a big number of herbicides inside it, in which it includes all the synthesized herbicides on the world from A to Z. Most of the herbicides in this group are inorganic salts which include iron sulphate, copper sulphate, ammonium sulphate and e.t.c. compared to the organic herbicides these herbicides are much less expensive while at the same time they are more effective. Having gone through the article, you stand a better chance of choosing the right herbicide to use. The knowledge gained equips you with the ability to control weeds at any given stage. Do you want to control weeds growth even before they germinate? Then use pre-emergence type. If you have weeds mixed up together with your crops, then go for the selective weed killers. However, if you want to eradicate all the green plants in your garden and begin farming again then non-selective herbicide should be your choice. When you choose the right type of herbicide weeds won’t be a problem.